STOP relying on others to “run your energy”. Put the power for your own health and *well being* into YOUR hands. Useful for clients or home use. Works with animals and spaces too. We have designed a powerful visual aura and chakra snapshot app that uses our first layer of technology, COLOR to balance your field. 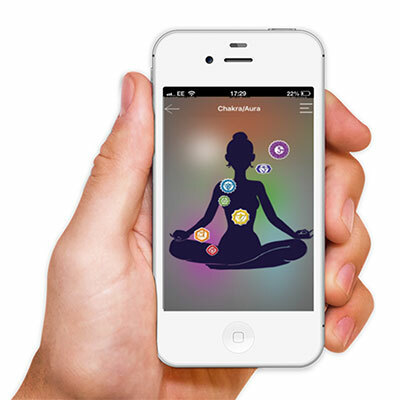 Watch in real time as your aura and chakra position come into alignment in real time with real actual frequencies. Experiment with exercise, music and more to see what is your optimum routine. Useful as a practitioner tool, using a voice print you can run our tech anywhere, anytime and have visual results. Client database to save basic information. Thank you for your interest in the app. Please read this first! 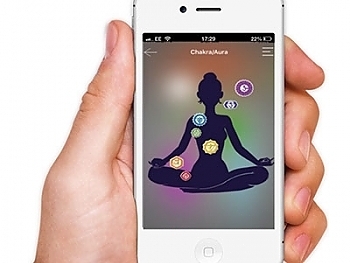 Please note: This is meant to be a practitioner app for those familiar with frequency medicine. We are assuming you have basic knowledge of the energy bodies and how frequency works. Please do not purchase if you are not familiar with the power of Color therapy, chakras and the human aura. We will soon have bulk pricing available for practitioners to share with their students. Many blessings and looking forward to your stories about the app. Also: We will only refund on a case by case basis. All products of ours come with a basic no refund policy except in certain situations decided by management. We reserve the right to refuse sales of this app for any reason.